HX Practice Balls are ultra-lightweight soft flite balls that utilize Callaway Golf's unique hex pattern which simulates true ball flight. 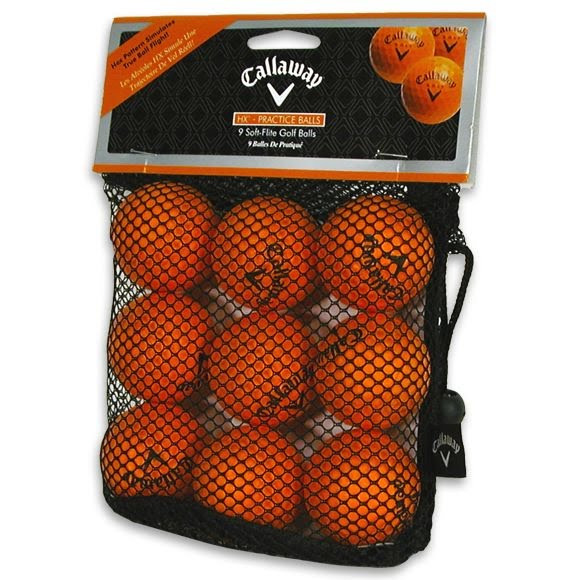 Package contains 9 soft-flite golf balls. HX Practice Balls are ultra-lightweight soft flite balls that utilize Callaway Golf&apos;s unique hex pattern which simulates true ball flight. Package contains 9 soft-flite golf balls. HEX Aerodynamics replaces conventional dimples and virtually eliminates the seam, enhancing shot-to-shot consistency. It also reduces drag for long, efficient ball flight with amazing stability.